The long-awaited new album, recording of which stretches back to 2005. At present the album is only available in France (via fnac.com and Amazon.fr to name but two retailers) on the Son du Maquis label. 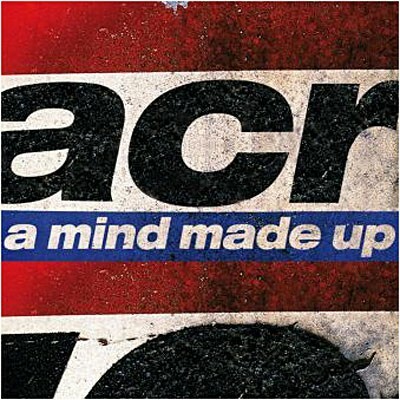 ACR MySpace notes: "ACR have released their first studio album in ten years titled "MIND MADE UP" which contains 12 brand new songs. The album was recorded in Manchester at Abraham Moss Studios. ACR recorded the album using various recording techniques such as 24 trk 2 inch analogue tape and digital computer software PRO Tools this combination along with the band playing together and some great songs gave the album its unique sound."